After her divorce, librarian Annie Reynolds thought she’d closed the book on love for good—it just wasn’t part of her safe, comfortable routine. But if there’s anyplace she can relax and have a little fun, it’s Dune Road, where she and her closest girlfriends return for their annual getaway in the Hamptons. She knows it’s just what she needs to escape her empty nest (and empty bed). A chance encounter with a ruggedly handsome local promises Annie just that. But when one of her friends turns a simple flirtation with B-list movie star Jason Wilde into seduction—and Jason accidentally mixes a few drinks and his back-pain medicine—the ladies end up with a very high-profile houseguest. The media calls it a kidnapping, and before long, the FBI is on the hunt. Soon the ladies’ tame little trip has turned into the adventure of a lifetime. But will this case of mistaken misdoing sabotage Annie’s second chance at love, or will she have the confidence to take matters into her own hands to find her happily ever after? This book was hysterical. I loved these insane, crazy, zany ladies and Jason was not much better. This was a great book that once I picked it up I could not put it down. It has some mystery, romance, and edginess that was enjoyable from start to finish. The characters have great development, the book is edited and wrote well and the cover really capture the story. I cannot give this book enough praise. Easy book to recommend. Dee Ernst was born and raised in New Jersey, which explains a great deal about her attitude towards life. She loved reading at a very early age, and by the time she was ten she had decided to become a writer. It took a bit longer than she expected. She went off to college, moved around a bit, had a job or two, a husband or two, and a daughter or two. It was the birth of her second daughter at the age of forty that got her thinking about what to do with the rest of her life. That was when she decided to give writing a real shot. Dee loved chick-lit and romantic comedy, but hated the twenty-something heroines who couldn’t figure out how to go and get what they wanted. She began to write about women like herself — older, confident, and with a wealth of life experience to draw upon. She got an agent but no sales, and took the plunge into self-publishing in 2010. In 2012, Better Off Without Him became an Amazon bestseller. She signed with Montlake Publishing, which went on to re-release Better Off Without Him and launch A Slight Change of Plan in 2013. 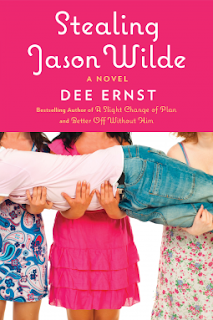 2016 will bring two ‘firsts’ for Dee — a series of cozy mystery novellas, and the release of her first full-length novel with Lake Union Publishing, Stealing Jason Wilde, in June. She is still in New Jersey, where she writes full-time. She lives with husband #2, daughter #2, a few cats and a needy cocker spaniel. She loves sunsets, long walks on the beach, and a really cold martini. This is the first book that I have read by Steena Holmes and it will not be the last. This book was absolutely amazing. Rarely do I read a book that pulls you in so deeply that you feel the emotions of each character and really connect with them, but this was one of those books. Tackling family issues and relationships is really hard to do in a way that resonates and changes the reader, but Steena gets straight to the heart of it. Josh and Claire have been married for 6 years. They have a deep and beautiful love that you first glimpse as you follow them along on their vacation through Europe to finally let the past go and move forward, letting go of their dream to have a baby of their own. This was the sweetest thing ever actually. To make their decision a little more bearable they had kept a list of all the things they wanted to do with their baby. During their cruise they let go of those dreams by casting their lists into the sea, forever lost. Once they get back to Canada, Claire starts having headaches that continue to get worse. 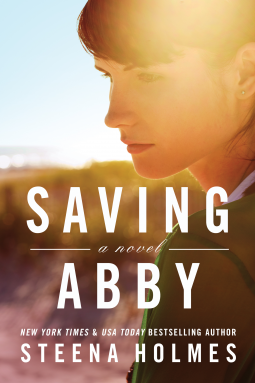 Eventually she goes in to see her best friend and doctor, Abby to see what is happening to her. Josh and Claire and hit with the best and worst news of their lives. They are going to have a baby, but Claire also has a stage 3 brain tumor. Faced with the biggest decision of their lives Josh and Claire must decide weather to abort and get Claire treatment-giving up on their miracle baby, or risk losing Claire and try to carry the baby full term, praying there will still be time to save Claire in the process. I cannot say enough positive things about this story. I found myself tearing up several times chocking back emotions. The story moves and flows effortlessly and leaves you wanting more. Just a beautiful story of a mothers love and strength. Disclaimer: I received a free copy of this book in exchange for my honest opinion from Lake union Publishing via NetGalley. 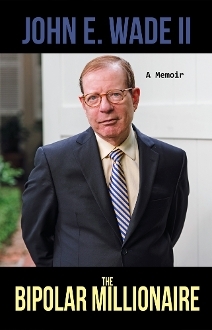 John E. Wade II, retired CPA, author, investor, television producer, and philanthropist, reveals in his memoir, The Bipolar Millionaire, his personal struggle with bipolar disorder and how he has succeeded in living a balanced and blessed life, despite his mental illness. Wade takes the reader through his family experiences, political aspirations and beliefs, spiritual journey, relationship trials and errors, all while battling mental illness. Through his religious beliefs, personal perseverance, and the help of friends, family, and his mental health professionals, Wade lives an active, creative, and successful life. His memoir doesn’t end with contentment at achieving a balance in his life, however. Instead, Wade expresses a determined vision for the future, aiming to assist humanity in what he describes as achieving heaven on earth through his writing, political and spiritual endeavors. 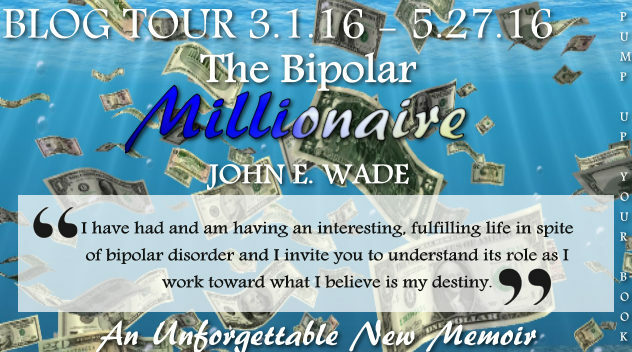 The Bipolar Millionaire is available at Amazon. Pick up your copy at the Sunbury Press store. I was struggling and dropped into a walk from the jog required of fourth classmen. It was an autumn day in 1963, just a month after I’d had a near-fatal attack of meningitis, and I was still fighting to regain my strength. Panting for breath, I was confronted by a first classman. He asked very directly why I wasn’t jogging. I quickly replied that I had a medical excuse, knowing full well that the excuse had expired. He ordered me to produce the excuse, which I did. Noting its date, he nonetheless allowed me to proceed. Soon, I was in the academy hospital, lying flat on my back in an almost catatonic state, unable to cope with my mental torment. Although this severe depression, the first in my life, was not diagnosed at the time, it must have been my first bipolar episode, possibly having been triggered by the recent attack of meningitis. My mother and Carol, my then-girlfriend, came to try to revive me, but I don’t remember responding. Years later, Carol told me that I asked her to help me kill myself, but I have absolutely no memory of making such a request. Until this illness I had been a model cadet. I had prepared physically according to academy guidelines, so the transition to basic cadet summer was rigorous but easier than it would have been without vigorous training. One other thing that helped me during basic cadet summer was the stream of daily letters from Carol. My fellow cadets were jealous, partly because of the letters, but also because of the picture of her I had in my room. Even though it was black and white, it was clear that she had blond hair, a sweet smile, and a pleasing, pretty face. That face helped me get through the rest of what we all had to endure to complete our training. Each week we were given certain “knowledge” to learn, such as types of aircraft or chains of command. 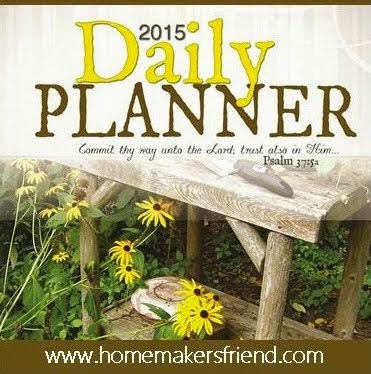 I always spent part of Sunday afternoon memorizing the information so that I could recite it during Monday’s meals. The upperclassmen pointedly asked several questions of each basic cadet, which kept us from finishing our entire meal. The first classmen took turns performing the interrogation, but as the questions were considerably shorter than the answers, they always had plenty of time to eat. I always felt I was short-changed because I was the only one who knew the trivia from the first day it was due, and yet I didn’t get a chance to eat more than the other basic cadets. At the end of basic cadet summer, all the cadets were subjected to a physical fitness test, and I scored the highest in my squadron. At about the same time, we also went on a survival exercise in the mountains for which we were organized into small groups with twenty-four hours’ worth of food and about a week’s time to find our way back to the academy. The experience was particularly taxing for me. I became so obsessed with saving my food that I still had some left when we got back to the academy. After the final tests, those of us who successfully completed basic cadet summer became fourth classmen. My personal excitement was not long lasting, however. Although I had scored high marks on the physical tests, I was disappointed with my first academic grades, which included some Bs, as I was used to all As in high school. When I asked a first classman for his opinion, he said I did just fine considering that I came from a weak high school. Basic cadet summer had ended—then the meningitis hit. I’ve since read that physical illness can trigger the onset of bipolar disorder, and although the diagnosis was not made at that time, I believe that is what had happened. My father eventually was diagnosed as having bipolar disorder also, so it appears that I was genetically predisposed to the condition, as is often the case. I had entered the academy in June 1963, and I received an honorable medical discharge that December; whether I was right or wrong, I considered the situation a great disgrace. It was definitely a life-defining event for me, and I was overcome with depression. But, there was another aspect to my failure at the Air Force Academy that I didn’t disclose to anyone else until years later: part of the reason I attended the academy was that I had presidential ambitions, which I knew would be shattered by the stigma of mental illness. I internalized and brooded over that stigma for the next forty years. To make matters even worse, when I finally got home I also lost my girlfriend. It was quite a shock to me and had a negative effect on my confidence with the women I would date for most of the rest of my life. I have often wondered what would have happened had I not had the meningitis and bipolar episode. What aspects of my life would have been altered? It’s a haunting possibility to consider. Still, even though the realization of some of my dreams has eluded me, I have had and am having an interesting, fulfilling life in spite of bipolar disorder, and I invite you to understand its role as I work toward what I believe is my destiny. I was born in Decatur, Alabama, grew up in Georgia and Mississippi, and have lived in New Orleans for many years. After high school, I attended the Air Force Academy for a few months until I received an honorable medical discharge resulting from a severe case of meningitis and my first experience with bipolar disorder. 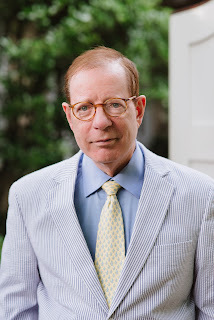 Eventually I enrolled at the University of Georgia, where I received a BBA and MA, was named the most outstanding senior accounting student, and served as president of Beta Alpha Psi, the accounting honor society. I worked in accounting for nearly thirty years, in both the private sector and eventually for the federal government. I began writing in 1998, and my first book-length work, Focus Investing, was purchased by John E. Wiley & Sons, but never published, because of changing market conditions. Still, I had discovered the joy of writing and have since produced many essays, blogs, and books. Deep Within My Heart is a published book containing many of my earliest essays. My next book project was conceiving and compiling How to Achieve a Heaven on Earth, a collection of essays from 101 other individuals–from world leaders to Nobel and Pulitzer prize winners–about the ten elements of Heaven on Earth as I conceived of them at that time (peace, security, freedom, democracies, prosperity, racial harmony, spiritual harmony, ecological harmony, health, as well as moral purpose and meaning–at the urging of my local editor, Charlotte L. Piotrowski, who pushed for “gender equality,” I have sense added “gender harmony” to the list of ten elements). I am especially proud of this work and hope it inspires humankind for generations. In 2012, Ronald Reagan’s Wisdom for the Twenty-First Century was published, which excerpts some of Reagan’s most insightful and articulate quotations from before, during, and even after his presidency, coupled with commentary highlighting the ways in which Reagan’s wisdom is as relevant as ever. Then, in 2014, Glimpses of Heaven on Earth, a book of inspiring quotations and insightful essays by four other co-authors and me, was published. This book won the 2014 Living Now Book Awards bronze metal in Social Activism/Charity. 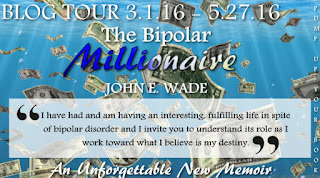 My most recent literary project is The Bipolar Millionaire, my deeply personal memoir. In 2006, I founded the charity Soldiers of Love, which encourages and enables ordinary citizens to work toward a better world. Soldiers of Love partners with other charities with similar goals, both in the local New Orleans community and beyond. In 2011 I began producing the television series that also relates to the the goal of Heaven on Earth. I am passionate about travel and have visited China, India, Egypt, Israel, Syria, Jordan, Brazil, Argentina, much of Europe, Costa Rico, the Caribbean including Cuba, as well as much of North America. Some of these trips have been spiritual journeys and mission trips. I enjoy learning about other cultures and my travels inspire my writing and philanthropy. I am equally passionate about my adopted hometown. I enjoy New Orleans’ unique food, architecture, and music, as well as Saints football games. I also cheer on the Bulldogs–The University of Georgia, which I attended, and Mississippi State University, where the Davis Wade Stadium was named after my father. Visit John E. Wade’s website. Connect with John on Facebook and Twitter. John "Smoke" Conlan is serving time for two murders-but he wasn't the one who murdered his English teacher, and he never intended to kill the only other witness to the crime. A dangerous juvenile rehabilitation center in Denver, Colorado, known as the Y, is Smoke's new home and the only one he believes he deserves. But, unlike his fellow inmates, Smoke is not in constant imprisonment. After a near death experience leaves him with the ability to shed his physical body at will, Smoke is able to travel freely outside the concrete walls of the Y, gathering information for himself and his fellow inmates while they're asleep in their beds. 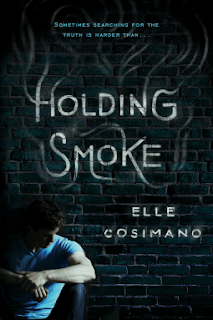 Convinced his future is only as bright as the fluorescent lights in his cell, Smoke doesn't care that the "threads" that bind his soul to his body are wearing thin-that one day he may not make it back in time. That is, until he meets Pink, a tough, resourceful girl who is sees him for who he truly is and wants to help him clear his name. Now Smoke is on a journey to redemption he never thought possible. With Pink's help, Smoke may be able to reveal the true killer, but the closer they get to the truth, the more deadly their search becomes. The web of lies, deceit, and corruption that put Smoke behind bars is more tangled than they could have ever imagined. With both of their lives on the line, Smoke will have to decide how much he's willing to risk, and if he can envision a future worth fighting for. This story follows John "Smoke" Conlan who is serving time that the juvenile detention center the kids refer to as the "Y" for the murder of his English teacher and another boy. Smoke though maintains his innocence and insists he did not murder his English teacher who had showed him nothing but kindness and that the murder of the boy was all an accident. The funny thing is Smoke cannot say what happened, how it was an accident or help in his defense in any way. The situation is escalated in minds of the community since Smoke was legally dead and brought back to life when his father attempted to kill him one fateful night. Since that day, John has developed the ability to travel outside his body using astal projection when he sleeps. Smoke manages to pass his time by doing favors for inmates and guards by gathering information that know one else can get. By having the ability to travel outside his body he is able to make his time inside easier, until he meets Pink who can see him and agrees to help Smoke clear his name. This was an amazing book from beginning to end. There are so many plot twists going on that it kept me on the edge of my seat until the last page. I adored the characters, strong, decisive, eager and at the same time vulnerable, scared, and dependent. What I really enjoyed was that throughout the book the decisions that are made are those of your typical teenager that has not learned to weigh the full consequences of their actions. It also did not "pretty up" what life inside juvenile detention would be like. Its hard, gruesome, and realistic. Elle Cosimano grew up in the Washington, D.C., suburbs, the daughter of a maximum security prison warden and an elementary school teacher who rode a Harley. As a teen, she spent summers working on a fishing boat in the Chesapeake Bay. A failed student of the hard sciences, she discovered her true calling in social and behavioral studies while majoring in psychology at St. Mary's College of Maryland. 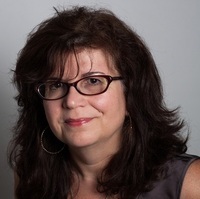 Fifteen years later, Elle set aside a successful real-estate career to pursue writing. Her debut novel, Nearly Gone, was an Edgar Award Finalist, winner of the International Thriller Writers' Best Young Adult Novel Award, and winner of the inaugural Mathical Book Award recognizing mathematics in children's literature. Elle lives with her husband and two sons in Mexico, somewhere between the jungle and the sea. Website: www.ellecosimano.com. Twitter:@ellecosimano. Unlock the key to creating a cultivated life for your child with this targeted parenting guide. 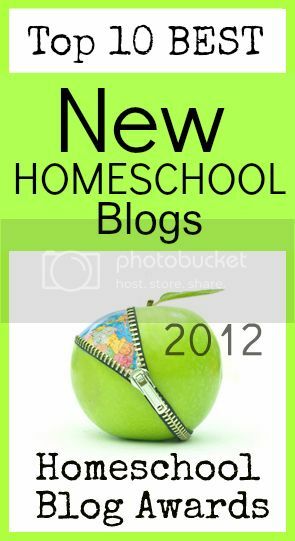 You will learn how to raise an engaging, accomplished and sophisticated child, one who gets noticed for all the right reasons. 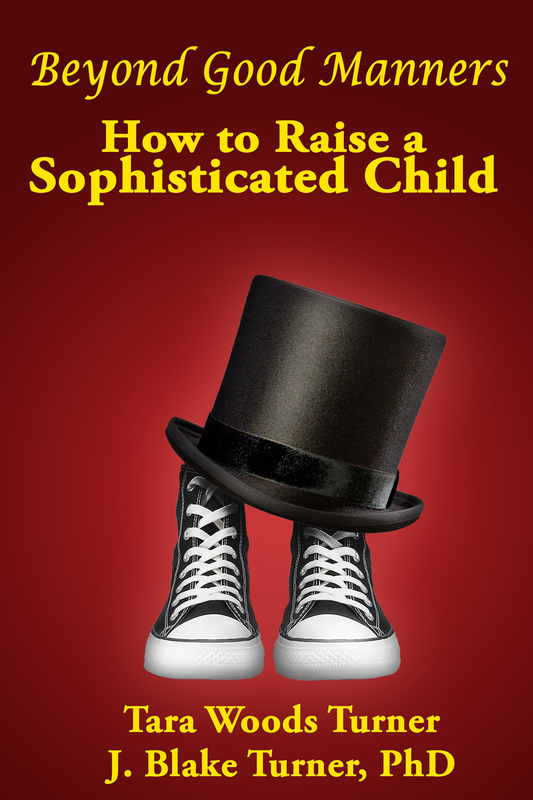 From fine dining, travel and art appreciation to navigating social media with integrity - Beyond Good Manners: How to Raise a Sophisticated Child will show you how to take your child to the next level. Whether your child is 5 or 15 this is the one book you will reference time and again for advice and techniques that are relevant, practical and insightful. Let's imagine you’re dressing for a dinner party and your child insists on wearing a glittery, sparkling ballet tutu instead of the $80 shantung capri pants you bought for her. What should you do? Let her wear the tutu. Crushing her sense of whimsy will do nothing to cultivate a sense of style for your child. It is not necessarily a battle of wills. She is simply trying to tell you something about herself. Listen carefully and then take the lead. Compliment her ownership of her appearance and use it as an opportunity to open the conversation about choices. Explain to her that she can wear the sparkly tutu but she should understand that it is not the most appropriate thing in her closet to consider. Tell her that this is an occasion where there is room for negotiation but that this will not always be the case. Then unveil some awesome ideas to add to the fun. You can show her how to further explore the topic of ballet and ballet costumes. She can read age-appropriate books on ballet and describe her favorite parts to you; watch documentaries on or video clips about actual child ballerinas; recreate a scene from Tchaikovsky’s Swan Lake with her dolls or arts and crafts supplies. Introduce her to basic French ballet terms such as pas de deux or pliè and see if she can reproduce the first five positions. Kick off your shoes and do it with her! In future she will don her tutu with pride because she not only earned it but because her appreciation is now informed. More importantly, you have quieted her frustration - not her voice - and created a platform for growth and development. With time she will find more constructive, cooperative ways to display her individuality and creativity because you wisely chose to not make her behavior the basis for your response. Tara Woods Turner is an etiquette consultant, author and content contributor. She lives in New York City and believes strong societies are built upon strong families. She also spends way too much time analyzing James Taylor lyrics. J. Blake Turner PhD, a researcher in mental health and associate professor at Columbia University, lives in New York City and is much more sophisticated than he used to be.